Updated: Friday, May 1, 2015, 10:30 a.m. 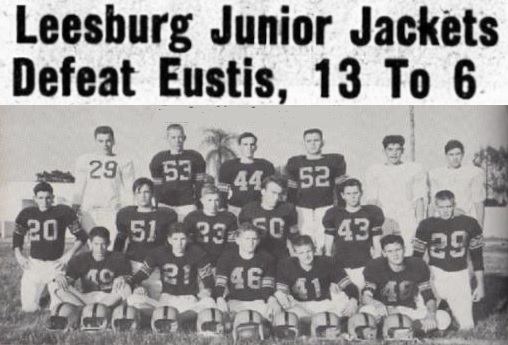 The Junior Jackets Racked their third straight victory yesterday with a 13 to 6 victory over Eustis. extra point and the score was 7 to 0.
second quarter and the score was 7 to 6 at halftime. tacklers and then went into the end zone, standing up the try for the extra point was no good.